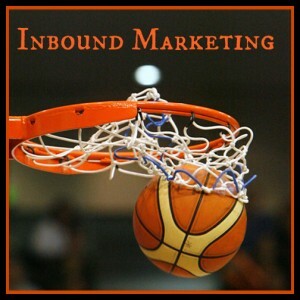 If you haven’t heard about “Inbound Marketing” then you’re asleep at the wheel! There is a growing number of marketing agencies that have aligned themselves with the “Inbound Principles” pioneered by HubSpot. The basic concept: implement marketing activities that help prospects find you (rather than tactics that intrude into the lives of those who aren’t asking). This excellent infographic, put together by Spark Inbound Marketing, does a good job of introducing the basics of inbound marketing. But the graphic does something else for you: it ends by showing you the kind of in-house staff/skills you’ll need in order to carry out successful marketing relying on your own company resources. For most small to medium sized companies, the list helps them see why an agency is what they really need (for, contrary to what many people think, it will usually SAVE MONEY to hire an agency). As is so often the case, the DIY and in-house efforts are a very important STARTING POINT for every company. There are aspects of marketing that MUST BE DONE IN-HOUSE! But as your company grows, you quickly get to the place where your best move will be to hire an agency to really boost your online branding efforts, your connection to interested followers, and your online visibility. And by the way…when you DO start looking for an agency, make sure you ask them how they feel about Inbound Marketing. Their answer will give you a nice, quick peek into their philosophy and practices.